I follow the general rule of thumb that it is best to get your nutrients from food. There is always a chance with manufacturers making a mistake when making supplements. In one article about supplements, vitamins and minerals, it said that it is dangerous to take too much vitamin B-12. This is ridiculous. A company is not going to make supplements with 417 times the RDA of a vitamin if it is dangerous. My B-12 (methylcobalamin) from Swanson's Vitamins has 2.5 mg of vitamin B-12 in each tablet (41,666% of RDA). The methylcobalamin is much healthier than the cyanocobalamin that contains cyanide. There are water-soluble vitamins and if a person gets more than they need, they can just urinate out the excess. The oil-soluble vitamins are the ones that you can take too much of and create a danger. The oil-soluble vitamins are vitamin A, D, E and K.
You cannot get too much vitamin D from sunlight since a pre-vitamin D is created and it is converted into vitamin D as the body needs it. Vitamin D is actually a neurosteroid hormone. You need to get lifeguard levels of hormone D to get the full effects of it. Moores Cancer Center proposes that cancer is a vitamin D deficiency. Hormone D is the cure for rickets (a terrible bone disease) or rickets is cased by a vitamin D deficiency. See The Vitamin D Deficiency Pandemic. According to Harvard School of Public Health, PubMed, Boston University and Michael Holick M.D. there is a vitamin D deficiency pandemic. JAMA (Journal of American Medical Association) says that 77% of Americans do not get enough vitamin D. And yet people are worrying about not getting enough of everything else. January 27, 2014 Warning: New video by Michael Greger M.D. shows that a study showed that 52% of British vegans have a vitamin B-12 deficiency. 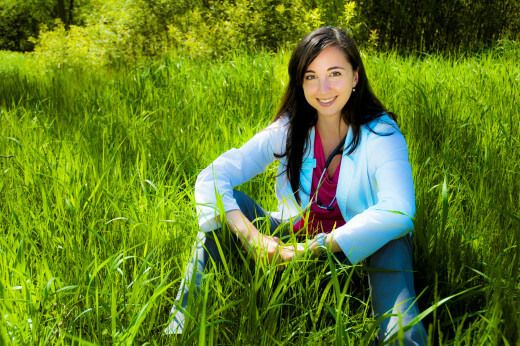 A doctor that tests people for B-12 deficiencies found that about 40% of meat-eaters and vegans have a deficiency in B-12. Note that only sick people go the doctor. With this vitamin it appears to be a matter of assimilation than of not getting enough of it. That is why fasting on pure water and nothing else has cured B-12 deficiency. There are 2 sayings. One is "You are what you eat." The other on is "You are what you assimilate." So it really does not matter that there is no B-12 in plant foods and some in animal foods. You need so little B-12 that you may as well take a supplement of it. The video on this webpage has Dr. Oz saying that 47 million Americans have a B-12 deficiency. On this video a woman says that 15% to 40% of Americas have a B-12 deficiency. It is very cheap. If they made a tablet of it containing 10 times the RDA with no fillers, the tablet would be too small to see with the naked eye. It would be microscopic. The body can also store B-12 for years. So I do not take the above mentioned B-12 tablet every day. The instructions on it say to take 1 or 2 everyday. The RDA of vitamin B-12 is only 6 mcg or 6/1000th of a milligram. Going by the RDA, one tablet of it (mentioned above) would have more of the vitamin that I would need to take in over a year. Above is a simple and quick explanation of B-12. It is very cheap and cannot hurt you so take it just to be sure. The complex answer takes a whole article to discuss why many vegans do not take it but have enough. Michael Greger M.D. says that apes get their B-12 by eating insects, dirt and feces. See Special Conditions below. Studies had shown that vegans and vegetarians were not living longer than meat-eaters. The video below by Michael Greger M.D. explains it in detail. So they investigated it and found that the problem was homocysteine a non-protein amino acid. The more of it in the blood the more a chance of having a heart attack or stroke. High levels of this are caused by a lack of 3 B vitamins-- folic acid, vitamin B-6 and B-12. Vegans and vegetarians should have no trouble getting enough B-6 and folate (folic acid in supplements). Green and beans are high in folate. So the problems in vegans and vegetarians were caused by a lack of B-12 that is found in animal foods. The average homocysteine levels in normal eaters were 12. In vegetarians it was 17. In vegans it was 27. Folate comes from foods like greens and beans. Both are very high in folate. The form of it that comes in supplements is folic acid and it is not as good for you as folate. Now the danger of not getting enough is mostly in pregnant women. But they have found that the more folate people get (more is better), the less chance they have of getting heart attacks, strokes and other health problems. Also when it comes to losing excess weight, the more folate you consume, the more weight you can lose. So eat plenty of greens and beans. You can buy or make sprouted beans so you can eat them raw. I know about recent studies with fish oil supplements with omega-3 but I do know that many studies have flaws or even worse things going on. So it is too soon to decide what they mean and if they are done right. This is another nutrient that many Americans do not get enough of. What is really important is the ratio of omega-3 to omega-6. So one thing people can do is to not use vegetable oils except for olive oil or coconut oil. This reduces the amount of omega-6 in your diet. Olive oil is beneficial and is mostly omega-9 essential fatty acids. Coconut oil is also very unique and healthy for people. Then the other part is to get more omega-3 in your diet. Certain fish have a lot of omega-3. Other great sources of it are flaxseeds and chia seeds. Otherwise you can take supplements of omega-3. 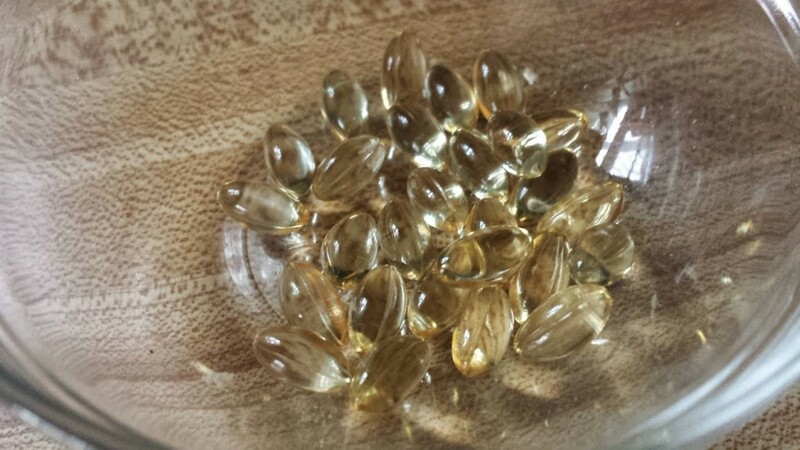 They do make omega-3 supplements that are not from fish but are from algae for vegetarians and vegans. The video below by Dr. Greger explains this in detail. They found that another reason that vegans and vegetarians were not living longer than others were their omega-6 to omega-3 level. The ideal ratio of omega-6 to omega- 3 should be less than 4. In regular meat-eaters the average ratio was 7 to 1. In vegetarians, it was 10. In vegans the average ratio was 15. To get enough in foods you can eat greens, beans, whole grains, nuts or seeds. Eat foods with vitamin C to help you to absorb the iron. One of every 20 menstruating women have a problem with anemia from not enough iron. Iron is a mineral. When the body is in danger of getting too much iron, it can stop absorbing or assimilating iron. Remember the above saying, "You are what you assimilate." The body cannot do this with iron supplements so some experts say to never take iron supplements. Problems with too much iron from supplements is NOT a rare problem like I said about the oil-soluble supplements. 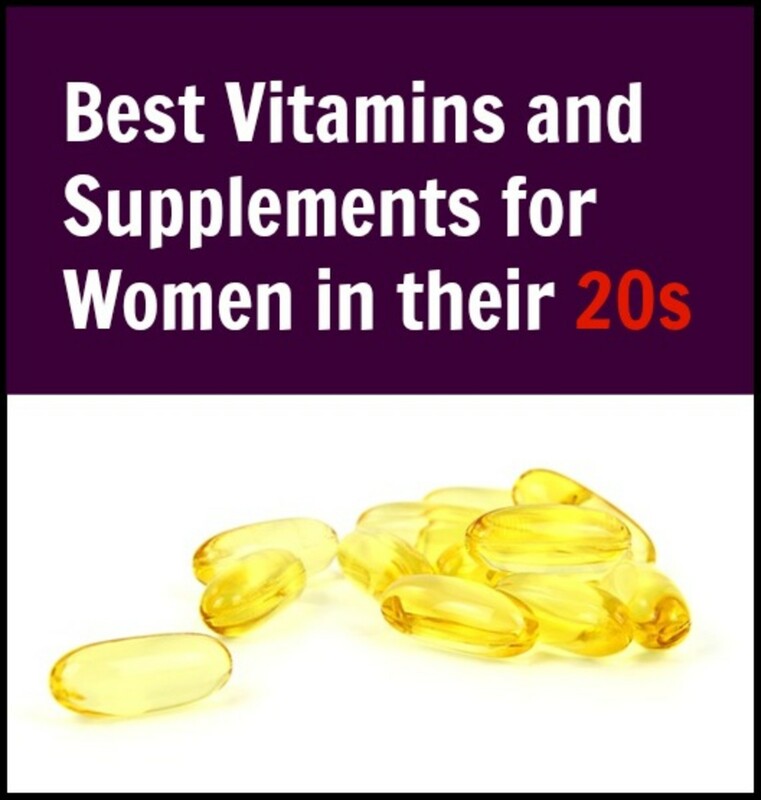 Frederic Vagnini, MD, assistant clinical professor at Weill Cornell Medical College says (page 41 in Bottom Line Yearbook 2008), "Never take a supplement for iron without consulting your physician-- excess iron can accumulate in your major organs and cause severe damage." Iron deficiency is uncommon among adult men and postmenopausal women. These individuals should only take iron supplements when prescribed by a physician because of their greater risk of iron overload. Iron overload is a condition in which excess iron is found in the blood and stored in organs such as the liver and heart. Iron overload is associated with several genetic diseases including hemochromatosis, which affects approximately 1 in 250 individuals of northern European descent . As far back as the 1980s, some researchers suggested that the regular menstrual loss of iron, rather than a protective effect from estrogen, could better explain the lower incidence of heart disease seen in pre-menopausal women . What is the risk of iron toxicity? There is considerable potential for iron toxicity because very little iron is excreted from the body. Thus, iron can accumulate in body tissues and organs when normal storage sites are full. For example, people with hemachromatosis are at risk of developing iron toxicity because of their high iron stores. In children, death has occurred from ingesting 200 mg of iron . It is important to keep iron supplements tightly capped and away from children's reach.Any time excessive iron intake is suspected, immediately call your physician or Poison Control Center, or visit your local emergency room. 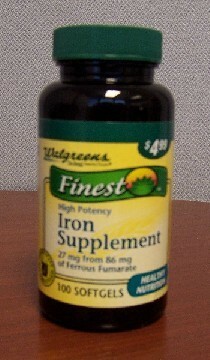 So it is not B-12 supplements that you should be cautious of but of iron supplements. Taking excess iron will not make you strong like Iron Man. In some parts of Europe there is too little selenium in the ground. To get enough selenium eat a Brazil nut everyday. To get enough of more nutrients some people juice some foods. You can get a whole food supplement called a greens drink that contains foods and superfoods like wheat grass, barley grass, chorella and spirulina. I will show one below and also a chocolate food bar that contains it. Actually many Americans do not get enough iodine. That is why they put it in salt. But salt is not healthy. A lot of soil is mineral depleted. Selenium and iodine are just 2 of many trace minerals. So to get enough trace minerals, eat seaweed like kelp or nori. Who eats a lot of seaweed like in Sushi? The Japanese do and they are the longest living people (Okinawa is part of Japan). Now if you do not want to eat it, you can buy it in flakes and sprinkle it on food. In fact spices (herbs) are nutritious and Bragg has a kelp and spice seasoning to sprinkle it on your food. See it below and note that every ingredient is organic. For more on this see: Why Are the Japanese the Longest Living People (one of my most popular articles). Also here is an article that goes a little more in depth about whole food supplements like greens drinks. It tells why I feel that chia seeds are easier to use than flaxseeds. Also it has more about powerful nutrition. Also see Health Benefits of Seaweed like Kelp. People can have special conditions that may need to be diagnosed by a doctor that have to do with nutrients. For example plant foods contain no vitamin A but lots of beta-carotene that the body can turn into vitamin A. But some people cannot turn the beta-carotene into vitamin A.
Putrefaction dysbiosis results from diets high in fat and animal flesh and low in soluble fiber. Dysbiosis is promoted by the consumption of antibiotics, which destroy "friendly" (userful) bacteria.... A reduced abiltity to produce gastric acid (hydrochloric acid) may also lead to an overgrowth of bacteria in the small intestine. Such an overgrowth may promote nutrient malabsrorption, particularly that of vitamin B12. Absorption of vitamin B-12 is dependent on HCL (hydrochloric acid) in the stomach and the bonding to a substance called intrinsic factor within the small intestine. The Schilling test is used to determine if insufficient intrinsic factor is an issue. See also The Real Cause of Osteoporosis. This tells about what goes on with the calcium that needs to go into the bones and why milk builds weak bones! People with weak bones have too much calcium going into their urine. Here a link to another article similar to this called 5 Supplements to Help Vegetarians and Vegans (and Everyone!) to Thrive. Just Sprinkle This on Meals like I Do. First ingredient is kelp to get plenty of trace minerals since the sea is loaded with trace minerals. This contains (every ingredient organic) kelp, rosemary, onion, garlic, thyme, red bell pepper, carrot, tomato, black pepper, basil, Bragg Organic Extra Virgin Olive Oil, parsley, tarragon, lemon peel, orange peel, Bragg Organic Apple Cider Vinegar, celery seed, dill seed, oregano, savory, sage, ginger, coriander, bay leaf and turmeric. Is Iron Helping or Slowly Killing You? by Joseph Mercola D.O. How Do Vitamins Provide Energy If It Can Only Help the Body Develop and Grow?